Many homeowners are raging over the look of Himalayan salt lamps in their space. These are a beautiful addition to the bedroom, bathroom, or even a living room. Just one can transform the look of a room to create an elegant, yet relaxed, environment. But, a real Himalayan salt lamp can do much more for your home beyond the aesthetics. Here are all the reasons you should invest in a real versus a fake Himalayan salt lamp. The EPA states indoor air pollution is one of the top five environmental health risks in the United States. This means your family might be at risk of harmful exposure in the one place they're supposed to be safest! Thankfully, you don't need to turn your home upside down with expensive remodels or professional teams to clean the air. 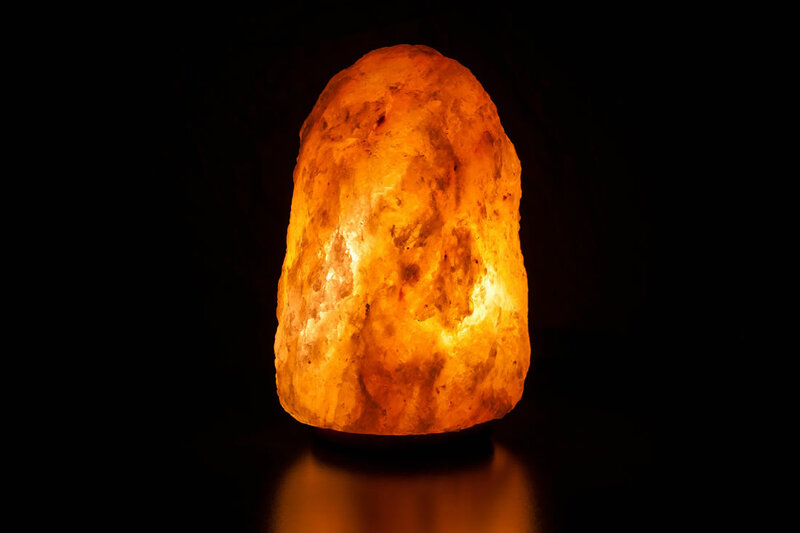 You can start making improvements with the help of a real Himalayan salt lamp. Real lamps are made of pure Himalayan salt, as opposed to fakes that are made of synthetic materials. The bulb's heat releases salt particles into the air which then fight against pollutants. Himalayan salt can purify poor odors - like ones from your cat's litter box or if you've been cooking with a little too much garlic. It can also fight toxic particles in the air that come from things like mold, bacteria, and allergens. You may even find your real Himalayan salt lamp reduces the amount of pet dander and dust in your home. Such a strong result depends on the placement and frequency of how often you keep it on. As great as a real Himalayan salt lamp is for the air, it can do wonders for the body, too. You encounter different types of radiation at various levels throughout the day. Most of them are positive ions from technology like smartphones, computers, and televisions. Considering the amount of time you use each device, and how the time adds up, you are absorbing more positive ions than you think. These are invisible to the naked eye but extremely powerful. Studies have linked overexposure to positive ions with various damages to the immune system. Some conditions are as minor as fatigue, dizziness, and digestive issues. Others are as extreme as brain damage and cancer. The conditions depend on your exposure to certain kinds of technology and the quality of electromagnetic fields they emit. Thankfully, negative ions can help balance the number of positive ions you take in through technology. These are released in the pure Himalayan salt of your lamp. The more time you spend near the lamp when it's on, the more you are reducing the number of positive ions in your body. You should note, though, placing a real Himalayan salt lamp in your home or at work won't fix everything. If you are particularly worried about positive ion particles, try to spend less time engaged with technology. Although ion balance is difficult to track on a day-to-day basis, your mood is much easier to be aware of. When you place a real Himalayan salt lamp in your home, you are likely to feel more relaxed and focused. You may even find it easier to fall asleep at night. These are just a few of the meditative effects available. Combined with the physical benefits and the improvement of air quality, buying your own lamp is practically a no-brainer. But, make sure the Himalayan salt lamp you want to purchase is indeed a real one. Many phonies are popping up left and right. Here's how to tell the difference. The last thing you want to do is order a salt lamp for its benefits just to get nothing out of it because you received a fake. You'd at least get a beautiful detail to add to your interior design. But, you'd be missing out on much more. Don't fall for a "great deal" on a Himalayan salt lamp. Chances are, those that sell for cheap aren't 100% real. These may be real Himalayan salt on the inner or outer layer mixed with other things. They may not even have any real salt at all! As such, look for prices that reflect the value you're expecting. They may be worth more out of pocket, but think of them in terms of the long-term benefits. Part of the air-cleansing process mentioned in the benefits above causes salt to sweat. This is a result of hygroscopy. As such, you should see a bit of moisture on your lamp after you've had it on for a bit. If there is no "sweat", you've fallen for a fake. Sweat from a salt lamp is one of the easiest ways to tell if its real. But, you will also be able to notice whether you have a real Himalayan salt lamp or not based on your mood. If you don't experience any sense of peacefulness or clarity, you've been gypped. You should feel a bit more at ease and centered. Don't force it, though. Just feel for subtle shifts in your mind and body after placing the lamp in a room you spend a lot of time in. You can't put a real Himalayan salt lamp in your home if you haven't ordered it yet! One more thing to be aware of as you shop is that no two salt lamps are the same. At least, the real ones won't be. This is due to the nature of the mining and molding that takes place. Keep such differences in mind when you look at photos online and place your order. Some lamps will have a more pink tone while others will be more of an orange color. Don't get frustrated if this doesn't perfectly match your interior design ideas. Remember - the point is to enjoy the benefits of a real Himalayan salt lamp. Shop with us to start feeling the difference these little wonders can create. The health-conscious community is growing larger by the day. Both young and old citizens of the world are looking for healthier alternatives for just about everything. We're looking for natural remedies for illnesses and even alternatives to the common products we use. In this case, it's air fresheners. If you've done your research, you know of the many toxins that are found inside of aerosols. For this reason, it's important to find alternatives that are healthier. One you can consider is Himalayan salt lamps. But where to buy Himalayan salt lamp? But before we get into that, let's go over this quick guide. Now, there's a good reason why Himalayan salt lamps are growing in popularity. In fact, there are quite a few reasons. 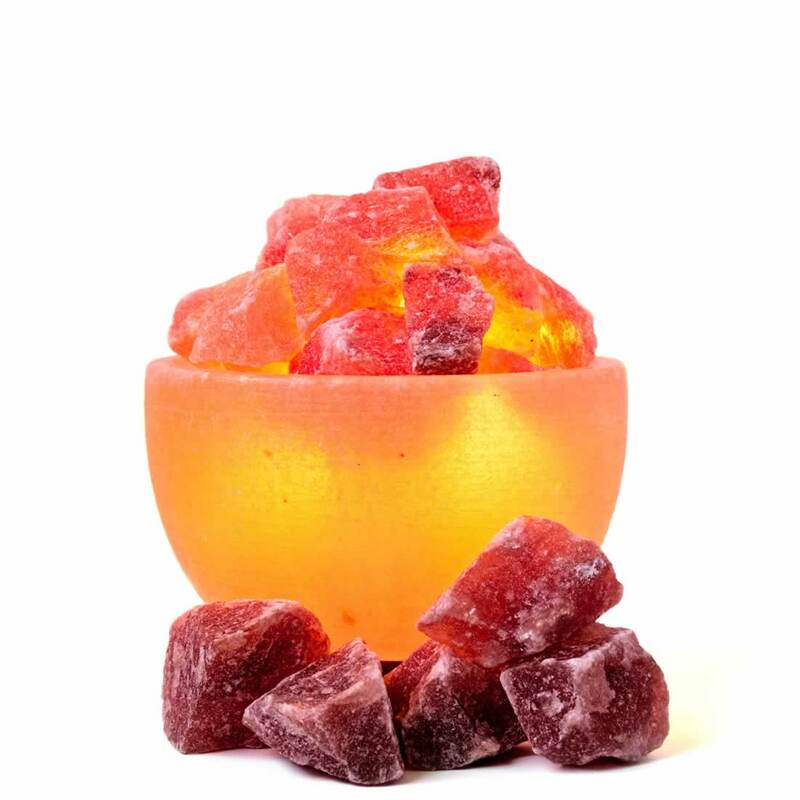 Let's take a look at some of the top benefits pink salt lamps offer. And they do it naturally. It's amazing how a rock of salt can actually cleanse the air. It's capable of removing pollen, dust, smoke and various other airborne contaminants. It uses what's called hygroscopy, which is the process of attracting water molecules from the environment then absorbing them along with foreign particles. Pretty neat, huh? 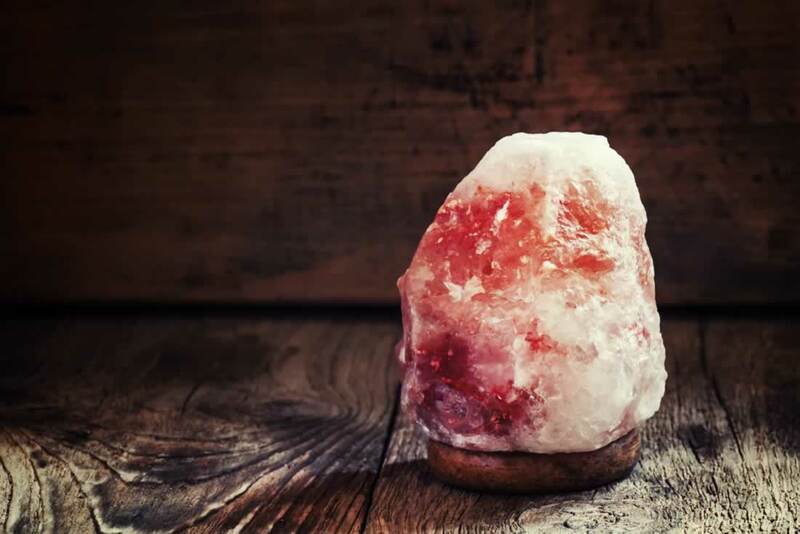 Because of the salt lamp's ability to remove mold, mildew, pet dander and other microscopic particles, it makes them perfect for those with allergies and asthma. It can help minimize the symptoms within a week or two. Your lungs can become clogged with various airborne particles. But your lungs are also susceptible to positively charged ions created by electronics and other sources. Positive ions are negative to our health, so Himalayan salt lamps eliminates them and produces negative ions, which are healthy. Who doesn't have low energy levels every now and then? You can use the negative ions created by the Himalayan salt lamp to boost your energy. Plus, it can help improve your sleep. So if you suffer from lethargy, you may benefit from having one or more Himalayan salt lamps in your home. Just make sure you know where to buy Himalayan salt lamp that's good quality. Which Himalayan Salt Lamps Should You Buy? Now, there are different types of Himalayan salt lamps you'll find on the market today. Some are handcrafted and others aren't. And you'll even find those chopped up into rocks and placed inside of decorative baskets. While the various models may look appealing, it's important to purchase from a brand that maintains the integrity of the Himalayan salt. In other words, you don't want a salt lamp that is filled with chemicals. The more natural the state of the salt, the more beneficial it will be for you and your household. Let's review some of the various options available, then we'll get into where to buy Himalayan salt lamp you can trust. Out of all the Himalayan salt lamps, you'll find on the market, you want to opt for one that has a large crystal. Obviously, the bigger it is, the more it will do for your home. The lamps that are between 9 and 13 pounds are ideal for lounge rooms and other large areas of the house. If you're wondering about the size, some can be about 12 inches tall. The bulb is in the middle of the salt crystal, which is attached to the wooden base beneath. When it's turned on, it has a beautiful pinkish orange glow. Some of the models come with a dimmer switch, which can be useful if you're using it in the bedroom or as a nightlight. A 15-watt bulb is needed (some aren't included with the lamp). If you don't want a lamp that large, you can go with a medium-sized Himalayan salt lamp between 6 and 9 pounds. These models are around 9 inches tall. Many of them are handmade, which means the shape and size will vary. This is ideal for bathrooms and other small areas you want to purify. Those who are really enthusiastic about cleansing the air of their properties may find the extra large rock salt lamps to be enticing. These can be found in 11-15 lb, 15-20 lb, 21-30 lb and 30-40 lb sizes. Placing a few of these around your home can really enhance the quality of the air. So anyone who would like to forgo the toxic chemical sprays and candles should consider going this route. The price range for these models can run you between $50 and $100 per lamp. The larger lamps will need a bulb that's between 15 and 25 watts. So Where to Buy Himalayan Salt Lamp? The salt lamps you purchase for your home or business should be made with authentic Himalayan salts mined from Pakistan. So watch out for the fakes. You also want to ensure the safety of your lamp. Some have complained of fire hazards associated with them. So the product you buy should be sturdy, so it doesn't roll off the table. Look for certifications, like CE and RoHS. 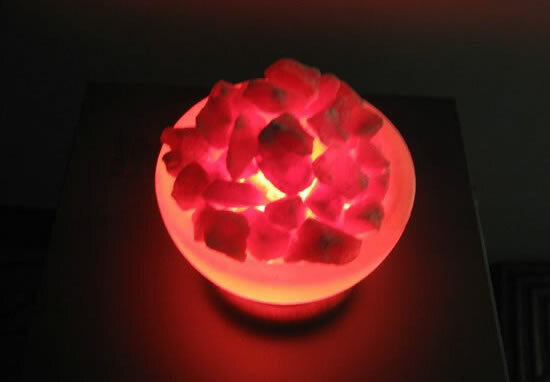 At Rock Salt Lamp, we specialize in beautifully constructed Himalayan salt lamps. Our products range from medium to extra large. So whether you're trying to purify a studio apartment or large hospital, we have lamps for you. Past customers have used our lamps for their offices, hotel rooms, children's bedrooms and even outdoor settings. If you're looking to improve the quality of the air you breathe, then consider buying our Himalayan salt lamps. We have gorgeous hand-carved models that come in the shape of a globe, pyramid or teardrop. So the next time you wonder where to buy Himalayan salt lamp, think of us. Browse around our shop today!